The bag of visual words (BoVW) model is a powerful tool for feature representation that can integrate various handcrafted features like intensity, texture, and spatial information. In this paper, we propose a novel BoVW-based method that incorporates texture and spatial information for the content-based image retrieval to assist radiologists in clinical diagnosis. This paper presents a texture-specific BoVW method to represent focal liver lesions (FLLs). Pixels in the region of interest (ROI) are classified into nine texture categories using the rotation-invariant uniform local binary pattern method. The BoVW-based features are calculated for each texture category. In addition, a spatial cone matching (SCM)-based representation strategy is proposed to describe the spatial information of the visual words in the ROI. In a pilot study, eight radiologists with different clinical experience performed diagnoses for 20 cases with and without the top six retrieved results. A total of 132 multiphase computed tomography volumes including five pathological types were collected. The texture-specific BoVW was compared to other BoVW-based methods using the constructed dataset of FLLs. The results show that our proposed model outperforms the other three BoVW methods in discriminating different lesions. The SCM method, which adds spatial information to the orderless BoVW model, impacted the retrieval performance. 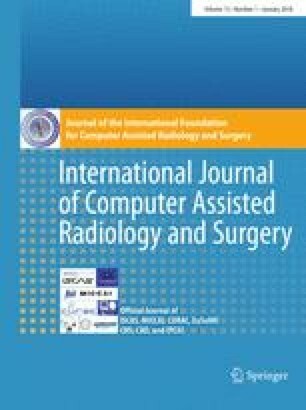 In the pilot trial, the average diagnosis accuracy of the radiologists was improved from 66 to 80% using the retrieval system. The preliminary results indicate that the texture-specific features and the SCM-based BoVW features can effectively characterize various liver lesions. The retrieval system has the potential to improve the diagnostic accuracy and the confidence of the radiologists. This research was supported in part by the National Key Basic Research Program of China under the Grant No. 2015CB352400, in part by the National Key Research and Development Program of China under the Grant No. 2016YFB1200203-03, in part by the Recruitment Program of Global Experts (HAIOU Program) from Zhejiang Province, China, in part by the Grant-in Aid for Scientific Research from the Japanese Ministry for Education, Science, Culture and Sports (MEXT) under the Grant No. 15H01130, No. 15K00253 and No.16H01436, and in part by the MEXT Support Program for the Strategic Research Foundation at Private Universities (2013–2017).